The mere thought of visiting an auto dealership twists many would-be car shoppers’ stomachs into knots. Blame pre-conceived notions of working with a car salesperson if you want, or the high price tag that comes with buying a new car. Whether you’re shopping for a new or used car, it’s a major purchase and it’s always made me nervous. When we needed a new (or at least new to us) car several years ago I was afraid it would cost us too much and dreaded the negotiation process. Surprisingly, I learned how to save money when buying a new car; with a little research, we were able to save over $5,000 on our new car purchase. I’ve assembled the following list to show you how we did it. When we bought our new car we had people tell us to let the salesperson know what the monthly amount we want to spend is. If I offend anyone, I apologize, but that is one of the stupidest things I have ever been told. If you offer up that information to the car dealership they’ll only push you towards that price which will only frustrate you and waste your time. If you’re looking to save money when buying a new car, keep that information close to the vest as it’ll give you more power when it comes time to negotiate a sales price. If asked, pivot the conversation to the overall price of the car and emphasize your desire to get the best deal possible. The other thing you’ll want to account for with your budget is what your cost will be for car insurance. While there are programs like Allstate Drivewise, you want to make sure you shop around to get the best rate possible. Our last car purchase was roughly five years ago and I spent several months researching what we wanted before we set foot on a local car lot. I knew the price I was looking for and the type/size of car we wanted. We went to probably eight to ten car dealerships over the span of several weeks and that helped us compare cars and narrow down the options to two or three viable possibilities. That only covered the car and how it drove, yet nothing about the price. Trying to save money when buying a new car can be tricky at best if you do not know the pricing and what dealers are paying for the car. This is where Consumer Reports came into play. They offer a service for $20 that reviews pricing for a specific car (new or used)including what add-ons actually cost the dealership and what the average price per car is in your geographical area. The information they provided was invaluable and gave us huge insight into what to expect in our negotiation. This is probably the most overlooked area in regards to how save money when buying a new car. The internet has made it possible for you to negotiate with a car dealership completely over the computer without meeting with them face to face. A friend had told us about this and it, together with our Consumer Reports information, this tactic helped us shave more than $5,000 off the price of our new car. 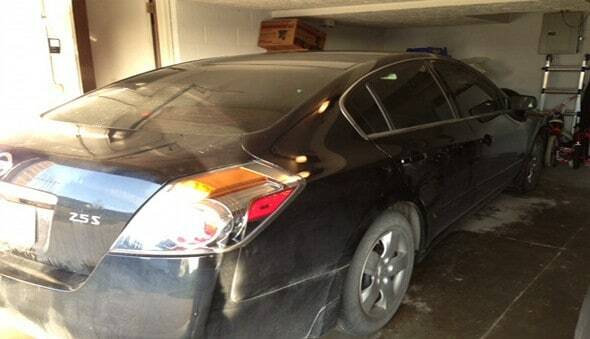 When we determined that we wanted a Nissan Altima, we knew which dealer we wanted to buy from. Several days before we went in to buy the car we emailed the other two Nissan dealers in town asking them to give us their best price. We had responses back from both within two hours of sending them. The best one was already over $2,000 less than what we had been quoted from the dealer we bought through. This armed us with information to take in when we bought our car. We went in that Saturday to buy the car and told the salesperson we had been working with what we knew (as much as we could) the car cost and what another dealership would sell it to us for and that we wanted that price. The look on his face was priceless and he said no one could approve it. When we respectfully said that we would walk he got up and said he would speak with the dealership manager. Five minutes later he was back and said that he did not know how we did it, but that it was the lowest price he had seen in his several years there. Financing is a huge money maker for most car dealerships. Don’t fall prey to it. Shop around beforehand to see what rates and terms you can get on a car loan, that is if you will be financing the purchase. Be firm when you say that you’ll discuss financing at the end and listen to what they have to offer. At the end of our negotiation, we ended up with the dealer’s financing as it was the best rate we were offered. We knew we’d be paying the loan off early with the money we had put aside in our online savings account, but wanted the best interest rate possible. If you’re looking to save money when buying a new car remember that the rate does impact how much money you’ll spend over time so please do your due diligence. I’ve shared some of my favorite tips about how to save money when buying a new car, but it’s all for naught if you don’t maintain your cool. It’s vital to keep an emotionally detached demeanor when looking; otherwise the car salesperson will know they have you. Make up your mind beforehand not to buy on your first trip to the dealership – no matter how good the deal is or how badly you want the car. One of the best ways to keep that control in your hands is to be willing to walk away. If the car dealership sees you being willing to walk out you communicate that you’re there on your terms and will buy when you’re ready. This’ll likely help in the negotiation process, but you do need to be remember to be realistic; otherwise they may just let you go. Hopefully you’ll have time to buy a car on your terms and not the dealer’s, as it benefits you to avoid a hasty or rushed decision. Time for you now. What are some of your favorite ways to save money when buying a new car? Have you ever paid for a car in all cash? When I bought my car, I did all of my research online to narrow down the choices to a few cars. I then went to a local dealer for the test drive. I told them that I was at the beginning stages of my quest and that I wouldn’t be buying anytime soon. Once I narrowed it down to one car, I wrote an email to all of the dealers within a certain distance of my house and gave them the exact specs I wanted and to give me a price. I then just repeated this as offers came in to get the best deal. There were some dealers who tried to play it “cool” and not give a price. They asked me to come in. They were the first to go. If they can’t follow a simple request for a quote, I can’t imagine having to deal with them all of the time. That’s a great angle to take Jon and I would tend to agree with you. If they can’t give you a simple quote then they’re not worth wasting your time on. I’m pretty certain that we will need financing for our next car (barring a miracle and my car going to 300k miles! ), so I appreciate the tip about not going with dealer financing without shopping around. I want to get the best rate and terms, so why wouldn’t I look at multiple companies?? That’s exactly it DC! It arms you with the information you need to get the best offer for you. If they want your business enough they might even match or beat the best rate you have. People who list their cars privately on ebay and such often refer to dealers to determine the price, and try to get a very similar price. In this case better go with the dealership and get a guarantee, plus they are usually willing to give you a discount. They are not as emotional as a private seller, which can work in the buyer’s favor. That’s a great point Pauline. At the very least you’ll get a 30 or 90 day warranty from the dealer to protect you if the car is a lemon. Great post, John. Car shopping always makes us nervous, so these are super helpful tips. Thanks! Thanks Laurie! I was nervous as well, but this took a lot of the nerves out of the transaction for me and made us more confident. This isn’t something I’ve had to do yet, but we’ll be there soon. This is all really great advice. I particularly like the idea of playing dealers off one another. There’s so much more power in our hands now with the amount of information and communication on the internet. That’s exactly it Matt. Many dealers have an online departments now for that very reason. It saved us a lot of time and several thousand dollars to boot. Your Costco membership can also get you a discount on a new car. When we were shopping for our last car (couldn’t find the exact one we wanted used so we went new because we know we will keep that baby forever) we called up the Costco Auto program. That can save you significant money on the cost of the car, and even if you don’t have a Costco membership, their lowest price membership is $55. You will save way more than that just buying the car. That’s a great tip Mrs. 1500! I knew Costco offered that but never used them for that. We bought new as well and intend to give the car to our oldest in 11 years when she is ready to start driving. I’ve bought plenty cars with cash, but they have all been week used. I’ve actually never owned a car that want considered high-mileage. Of course, if you buy a quality used vehicle, 75K miles isn’t high, its just getting broken in! My 91 Camry had 230k on it when I totaled it and mechanically it was in better shake than my wife’s Chrysler with a third as many miles. I agree that for most cars these days 75k really is not much at all. I think for most you should be able to get at least 00-125k, if not more, out of them. At the rate we drive that would mean at least 10 years for us. Write on John, great advice. I’ve bought and sold a dozen cars the last couple of years, and it really pays to look around and have cash available to buy. I would never finance a car or buy one that is less than 4 years old, but that’s just me. You’re exactly right Jacob. It really does give you flexibility. I remember when we said how much of a down payment we were putting down the dealer was not too pleased as they could tell that they’d not be making as much off of us. I have not been car shopping in YEARS but I think I would approach it way more cautiously than I have in the past. It would be great to pay for a car in cash but I don’t see how that it would be possible. Since my car is getting really old, I need to start thinking about how I want my next purchase to go. Thanks for the tips! Yea, I’d love to pay all cash…but unless we win the lottery that’s probably not likely. I think the key is to be cautious as that’ll mean less pressure is on you to buy and do it on your terms. It’s funny, I have a dream of buying our next vehicle in cash. We didn’t do enough research with our current vehicle and were totally naive about the whole process, we were young and stupid. Though we enjoy our vehicle and haven’t had issues with it, I just wish we had shopped around a little more and had someone (like my father-in-law) to help us. It was a stressful time though (Christmas and sick family member) and our 8yr old VW was quite literally falling apart. She was at the point of needing more money put into it than it was worth. Entering the first week of January with no heat working in the vehicle forced us into a tough situation. I wish we had negotiated the price or bonuses a little harder. LESSON LEARNED. We all make those mistakes Catherine and the great thing is that we can learn so much from them. I would like to pay all cash for a car at some point, but hopefully we won’t need a new to us car for some time. We also have an Altima just like yours, except green. When we bought it, I was determined that this would be the last car for a while, so I did go back a few times. I would encourage everyone to walk away,even if you get your price. It’s likely to go down even more if you don’t commit right away. We were the same way Kim. Once we narrowed down what we wanted we took several more trips back and tried the second choice again just to make sure. Good one John. I would recommend the research. If you know how much your car is worth and how the deal charges, then you have a lot of wiggle room. Be stern when you walk into a dealership and sound like you know what you are talking about. This can shut up a dealer real quick. If you have access to a credit union, then ask them for financing. Mine offers 1.49% that I qualify for. That really is it Grayson, having that knowledge. I found that it gave me the confidence to know what I was talking about and not have to deal with the shenanigans of the salesman and give you the upper hand. Timing is important too. If you can get a car at the end of the model year or before a replacement model come out, there will usually be a nice discount. I emailed several dealers in the area and let them bid against each other too. It was great and I didn’t even need to talk to them on the phone. Right on, that timing can be key as well. We got ours right near the end of their year so I think that helped us too. Thanks for the tips. My wife and I will probably be purchasing a car in the next year or so. I have never bought a new (or even used) car because all of them have been boughten through family, so I will have no idea what I’m doing. Not a problem Jake. My advice would be to research the heck out of it and learn what you want. That knowledge will help give you confidence for the entire process. The easiest way I’ve found to save money on buying cars is by changing what I think I “need.” This can mean getting a manual transmission (which I prefer anyway), cloth seats, the most basic radio, or getting a whole other model with less frills.. Sometimes this can go as far as delaying a purchase for some months or years. That said, your points are all pretty solid. Another section that I would add is to play the finance game. One way is to negotiate on a final price, then seeing if they’ll lower it if you pay with cash because they won’t get hit with the interchange fees of you using a credit card. Counterintuitively, another way to save is to see if the dealership will give you a discount for letting *them* finance it. Then paying it off the next day through financing from your own bank (or from your bank account). Of course, it’s very important to find out if there will be pre-payment penalties or if pre-paying is even allowed before trying this method. All great points! I think a lot of it comes down to seeing what options you have and working it to get the best deal for you. They would not give us a deal for a cash down payment, so we used our credit card to get the nice rewards points. Great advice and right up my alley since I’ll probably need a new (though probably 2010 or so) car in the next year or so. I agree about not taking the dealership financing – that’s the bread and butter for my friend’s business, for sure. I’m curious if you bought new or used, and what made you decide to purchase either or? Thanks Anna! You’re right, the financing is a big money maker for them which is why it’s so important to determine where you can get the best rate before. We ended up buying new. I generally think that buying a used car (especially when it’s only a few years old) is probably the best way to go. With this car purchase I had learned a lot more since our earlier one and with the price we got it really was not that much more than if we would’ve buy used. It also allowed us to control what we got in the car and have more choice over the features. I’m turning 30 soon and I have never owned a car. New or used. I don’t know if I will ever own a car but these seem like great tips for people who are thinking about buying! I am assuming you have pretty good public transportation then? If so, I totally understand and makes complete sense GMD. I would likely do the same thing, assuming we did not have kids if we had decent public transportation. Great tips! I used the Make the Dealers Work Against Each other and it saved me another 10% off MSRP. I got 3 of them competing. The best part was they knew but were desperate for business. Thanks John! It saved us a good chunk too, I think nearly 15% off the MSRP. It was worth it alone just to see the look on the salesman’s face when we told him the price we wanted. Great tips John! Walk away, is a great tip when looking for a car. If you aren’t getting the price and/or deal that you are looking for, walk away. Don’t feel like you have to “give in” and buy your car there. I’ve known some people that were like, “Well, the dealership tried to get me that price but they couldn’t and well, I just ended up buying my car there anyways”. Um, what? Thanks Mackenzie! I agree, that is likely one of the biggest cards you as the consumer have up your sleeve. Unless your car is dead and have nothing else to use (which in that case I’d look for other options first) there is no reason to not get up. At the very least your cooler head will prevail. If you find the right seller, having cash can be a huge advantage. Sometimes people will be willing to sell for less when they are looking at $10,000 cash. I totally agree Nick. It allows you that advantage, but also allows you to be more selective in your purchase. That’s great advice to pit dealers against one another. Car salesmen are pros, so it’s only fair we make them work for the sale. I’d never though of doing pre-negotition through the internet before going face-to-face, but that’s a brilliant idea. Research is definitely key. The more armed you are with knowledge, the less likely they can sway you into making a decision you regret! That’s exactly it Shannon…arming you as the consumer with more knowledge. I had never used this tactic before but I definitely will again when it comes the time as it just saved us so much off the purchase price. We bought a car back in November. I was big on pitting dealerships against each other. Nowadays, you can get a car from anywhere, so it doesn’t even have to be limited to local dealerships. One tip I found helps in comparing apples to apples, even if you plan to finance, tell them you are paying cash and you want an “out the door price”. This way you get the final price after fees and taxes. Otherwise, I find they all want to stick to the monthly payment, which of course means they can get to any number if they stretch the loan out far enough. On that note, if you do finance, know what the monthly payment will come out to be using a calculator. That way, you’ll know if the numbers look right in the final paperwork. Funny how “mistakes” can happen on those final financial documents. That’s a great point Greg, these days you’re not really limited in terms of where the car comes from. Great point on the monthly payment amount. Sure, that payment amount may look great, but not if you finance it for too long. I took in a calculator with us for when we bought the car and I could tell it was driving them a little nuts, but I was not about to let something slide by me. Good for you for saving so much money! I think doing a lot of research, visiting lots of dealers and then working them against each other is the perfect way to do it these days. I read a story a few years ago written by a woman that did a similar thing to what you guys did. She emailed a bunch of dealerships and said I am buying a new car on a specific date, who can give me the best price. Some ignored her and some exchanged a number of emails with her until one of them came down to the price she wanted. I agree Sicorra. The nice thing is that you can do it from the convenience of your home without the hassle of going in to the dealer. Going with a friend to the dealership is always a big help; they’re less likely to bully you into a worse price or car that way. I don’t know what I’d necessarily agree with that, unless your friend is there to keep you accountable to not buying that day. We’re in the market for a car now but we’re waiting to save up the money. The past 2 cars we have purchased have been in all cash and we plan to do the same moving forward! That’s awesome Marvin! I think that’s a great way to go if you’re able to do it. Working dealerships against each other is the best way to know you’re getting the best price. In my car buying experience I’ve found that the dealer/manufacturers financing is often the best deal. They’ll often run special 0% or 1% financing deals that beat anything you’ll get from a traditional bank. Totally agreed. I thought it was crazy how much the pricing varied, but was glad to take advantage of it. I’ve tended to see the same thing many times, but is not always the case. I guess it just depends on the dealer. When I moved to Canada I had to do lots of research on vehicles because I had only ever owned a small KA in the UK. I went online, did my research, looked at prices and finally found a vehicle that I wanted. I paid cash for it so it helped with the negotiating power that I had. I had no intentions of buying a new vehicle when I can get one that’s a year old for a fraction of the cost. If I win the lottery that might all change though lol. That’s awesome you were able to pay in cash for one Mr. CBB, the dealerships really do lose out on a lot of money when you do it that way. I bought a new car as soon as I graduated college, but would never do so again (well not unless our house was paid for and our retirement fully funded etc.). bf and I just but a nice used car and we’re perfectly content. No car payment, no hassles. We paid cash. I would imagine that buying one right out of school would make you feel that way. That’s awesome you were able to buy your last one in cash. That’s a good point Jose. We had that the first time we ever bought a car and learned then & there never to allow it to happen again. I like the Altima as well. It handles very well and has plenty of leg room in the front seat. Plus, when we drive for vacation we typically get 500+ miles per tank.